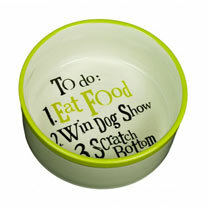 Now your favourite four-legged friend can look on The Bright Side too with this ceramic food bowl. Never again will your doggy forget his or her to-do list! 16.5 x 7cm.